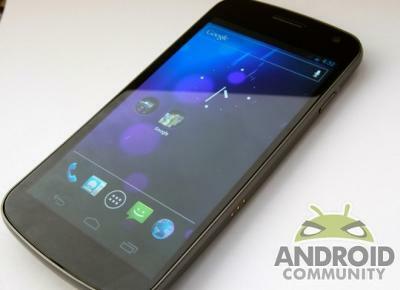 Samsung can't catch a break when it comes to a leaked marketing sheet that had the Samsung Galaxy Nexus Prime launching on November 17. Well instead, of denying or having no comment on the perspective launch date Samsung took the high road and went ahead to confirm the Samsung Galaxy Nexus will indeed be launching on November 17. Hate to break the news to a lot of you folks, but the launch is only for those in the United Kingdom. So those in the UK you got a head start on a great smartphone that will feature Google Android 4.0 aka the Ice Cream Sandwich and in tech circles abbreviated to ICS. Everyone is sure to want to know what type of features and specs this new smart phone will have and we have you covered. Processing is done with a 1.2GHz dual-core processor that is able to connect to HSPA+ networks. If this were a car you'd be pulled over by Officer Friendly and issued a speeding citation. The phone comes with a 4.65-inch 720p resolution HD Super AMOLED screen. If that doesn't make a lot of sense to you just know the graphics and display are simply amazing you will like what you see... no pun intended. There's video too. We're talking 1080p video output. How about using Face Unlock to lock your smartphone? Well it comes standard fare on this device, hope you don't have any identical twins that you don't know about then. The dimensions on this smart phone are pretty thin coming in at only 8.94mm and a 4.29mm screen bezel. Sorry Americans, but since this device is launching in the UK we decided to go ahead and use the metric system here since that is generally the worldwide accepted units of measurement. So those in the UK, Thursday, November 17 is the day for you.